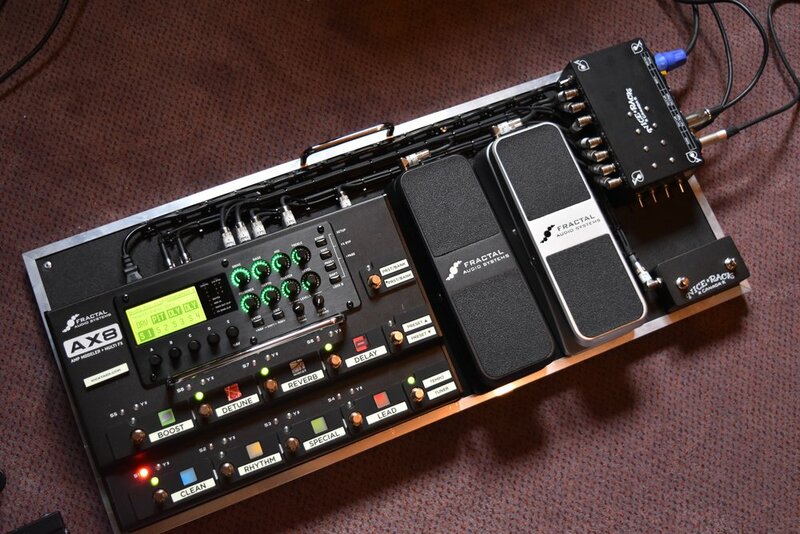 This system features the AX8 with 2x EV-1 Expression Pedals and 2x Nice Rack Canada External Switches for AX8. The System In & Out Latching Connection Box features 4x Switchable Audio Earth Isolation Transformers to break any ground loops that may occur depending on which external amplification / recording points are connected to the system. Thanks to Mark Day for the great photographs of the rig.